I've always dreamt of fuller lips. I mean, hell, I wanted fuller lips so badly that I not only allowed a stranger to put needles in my face, but I paid them for it too. And honestly? It was one of the best decisions I ever made in relation to my self-confidence (more on that in another blog post). Why am I telling you this? Well, because it wouldn't be fair of me to write a post about how to make your lips look bigger without admitting that, hey, I kind of cheated. But, with that being said, lately I've been getting loads of people asking me if I've had my lips done again, when in reality i've just been doing my makeup a little differently. And whilst I might be a fan of the old filler, I'm not about to sit here and condone it to anyone else because - chances are - you all have the best faces without it. 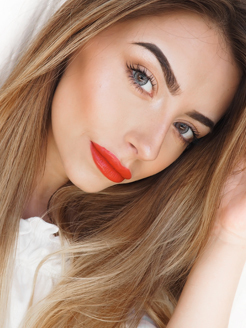 But, if you do want to fake a fuller pout then here's how to do it without the filler (and without the price tag that comes with it, too)!